This is only a short extract, the full conversation is available in the fifth issue of Annual Magazine. Shop it here! Chris Wiley: Your most recent works constitute something of a shift in your thematic focus, away from the history of French colonialism and the American war in Vietnam, particularly as they related to you and your family, towards work that appears to be related to the notion of American freedom. Specifically, I am thinking of the works We the People (detail), 2011-13, your ongoing, deconstructed reproduction of the Statue of Liberty, your gilded cardboard Budweiser box This Bud’s for You (2012), and part of your installation, JULY, IV, MDCCLXXVI (2011) pairs the actual typewriter that Ted Kaczynski used to write his anti-technology manifesto Industrial Society and Its Future with a copy of The New York Times from 1945 containing the announcement of the wedding of future president George H.W. Bush and Barbara Pierce. What was it that catalyzed this shift in your work? 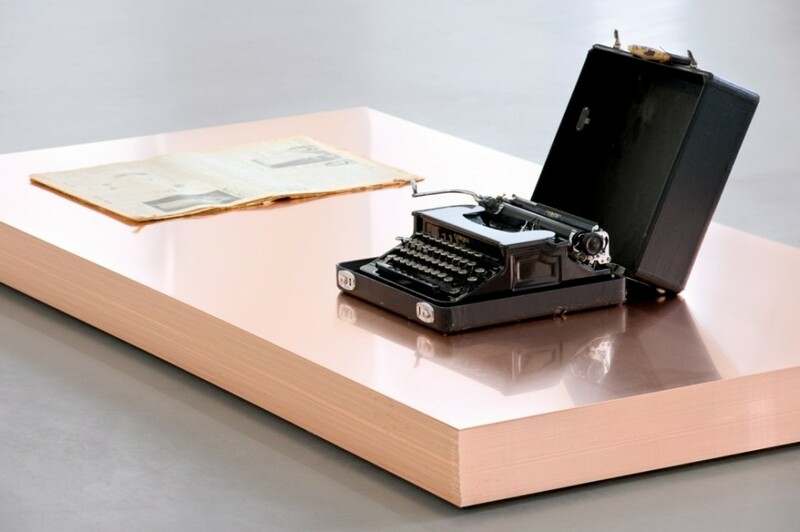 Danh Vo: The way in which my work has been framed, whether through press releases or criticism, has, up until now, focused on a particular side of my practice, and effectively created a fissure between different issues that my work has dealt with simultaneously. For example, at Manifesta 7 in 2008, I exhibited a series of letters written by Henry Kissinger addressed to Leonard Lyons and his wife. If We the People (detail) marks a shift in my practice, the shift was not in the work’s subject matter, it was in its operation; it was an attempt to take something that is so familiar to most people and make it unfamiliar. The project’s scale is perhaps also a shift from that of my previous projects. However, I’m not so concerned with these questions. More importantly, I want to work with contradictions in order to test the opposite poles of my capacity and desires. I think this is much more consistent with my nature than a tight conceptual program. Chris Wiley: In 2010, you were asked by Elena Filipovic to re-install her exhibition ‘Felix Gonzalez-Torres: Specific Objects without Specific Form’ at the Wiels Contemporary Art Center in Brussels. It seemed to me that you were a particularly apposite choice, considering the autobiographic nature of much of your work, and your engagement with themes of mourning, sexual identity, and the like. At the same time, there is a certain Romantic quality to Gonzalez-Torres’s work that yours seems to lack ‒ you seem to favor a more clinical, anthropological approach. Can you talk a little about the importance of Gonzalez-Torres’s work for you, as well as this seeming tendency on your part to shy away from sentimentality?